This has been floating around for a while, but I only recently encountered it on one of the Ryan Adams Facebook pages — “Folklore,” a long lost and quite lovely song that Ryan recorded in the wee small hours one night at the home of a fan following a late-1990s Whiskeytown show in Virginia. The video includes commentary on how this recording came to be. Though never officially released, “Folklore” was a song Ryan also played live some back then, and it still blows my mind how easily he could just burp out stuff this good during the Whiskeytown era. A pity this one never made it onto a record. 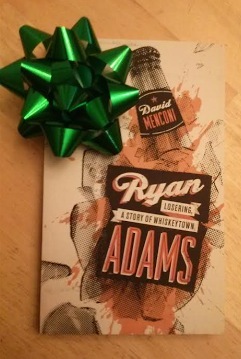 If you’ve read “Losering,” you know that I loved Whiskeytown and wanted the rest of the world to love them, too. 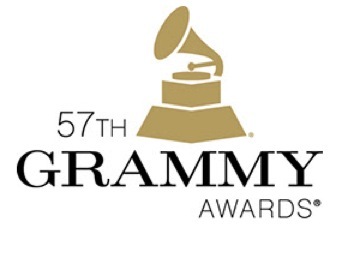 Despite making some incredible music, however, they just never broke through commercially. 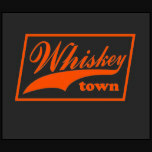 By now, a decade and a half after breaking up, Whiskeytown is little more than an obscure footnote to Ryan Adams’ solo career, unjust though that seems. 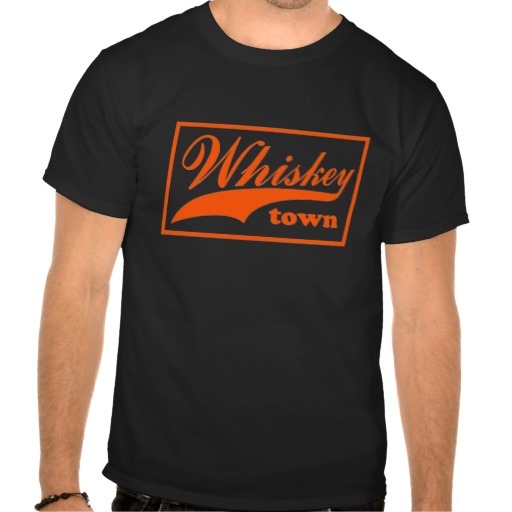 But someone beyond the old hometown fans must remember, because a company called Contusion has gone to the trouble of recreating the design from one of the tour shirts that Whiskeytown used to sell on the road back in the day. This was the band’s best-selling shirt from 1997-98, according to road manager Thomas O’Keefe. Manufactured by California-based Zazzle Apparel, it can be yours for $27.95 plus shipping and handling (pro-tip: I’m told that if you use code ZSUNSETSALES, the total end price with shipping/handling will be $30.25). It might be just the thing to wear while listening to DRA 1989, whenever that comes out. 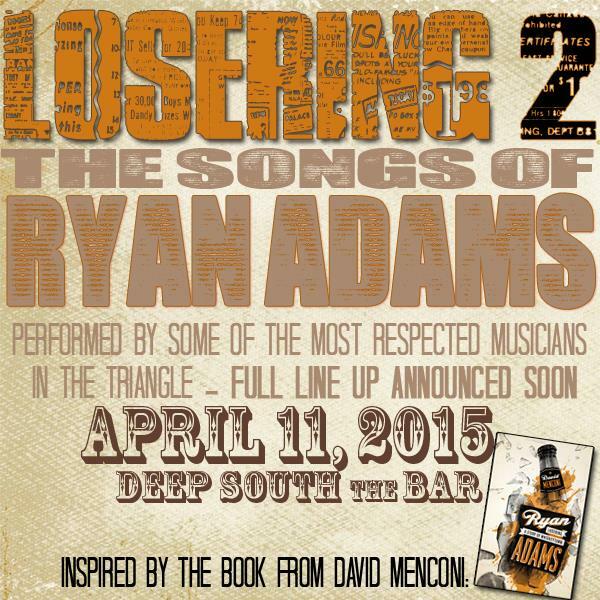 So the second “Losering” tribute show is coming up, happening April 11 at Deep South The Bar in downtown Raleigh. And as if you needed another excuse to go, it’s going to be a benefit for the Food Bank of Eastern North Carolina. No, we’re not expecting Ryan himself to show up, but it will be a very fine lineup and most likely another sellout. So don’t sleep on getting tickets. I’m also happy to report that this is not the only Ryan Adams/Whiskeytown tribute show in the works at Deep South. 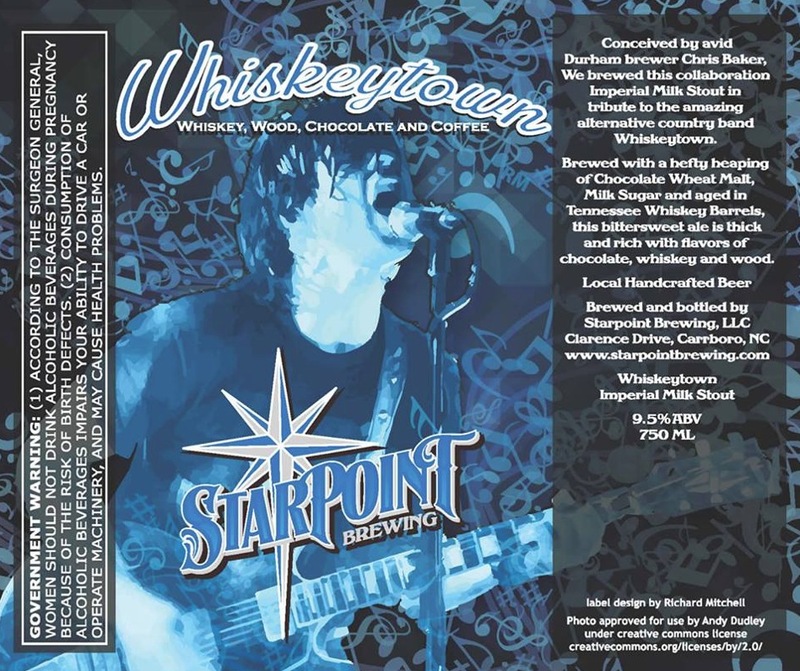 Coming later this summer will be an event paying homage to the definitive Whiskeytown album, Strangers Almanac. The date for this show is not yet settled, but it will probably happen somewhere around the anniversary of the album’s original release date (which was July 29, 1997). Stay tuned. 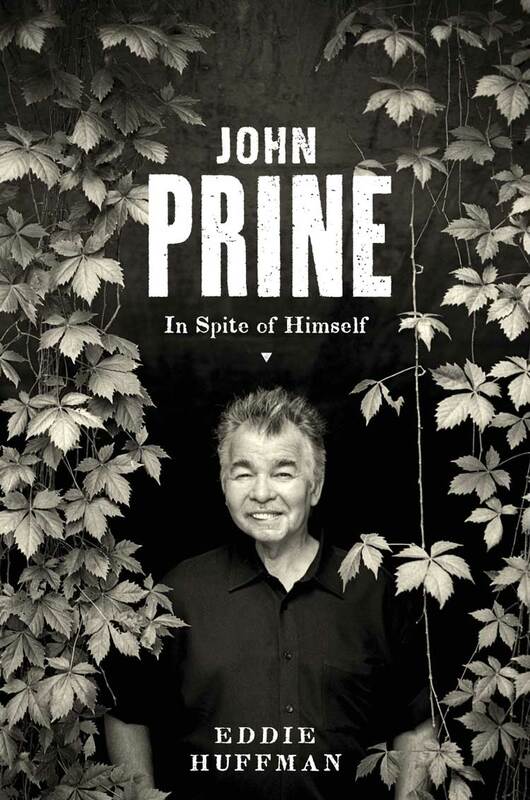 While I’m at it, there’s also a tribute show inspired by my man Eddie Huffman’s John Prine biography, “In Spite of Himself,” which will be in stores March 15. 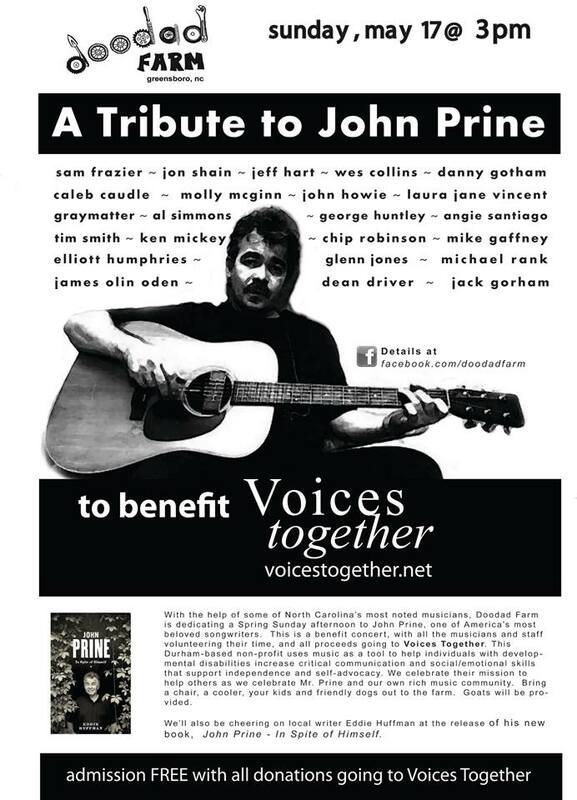 “A Tribute to John Prine” happens May 17 at Doodad Farm in Greensboro with performers including Chip Robinson, John Howie, Michael Rank, Caleb Caudle, Jon Shain, Danny Gotham and tons more. This, too, is a benefit – for Voices Together, a super-cool non-profit in Durham that serves children and adults with disabilities. 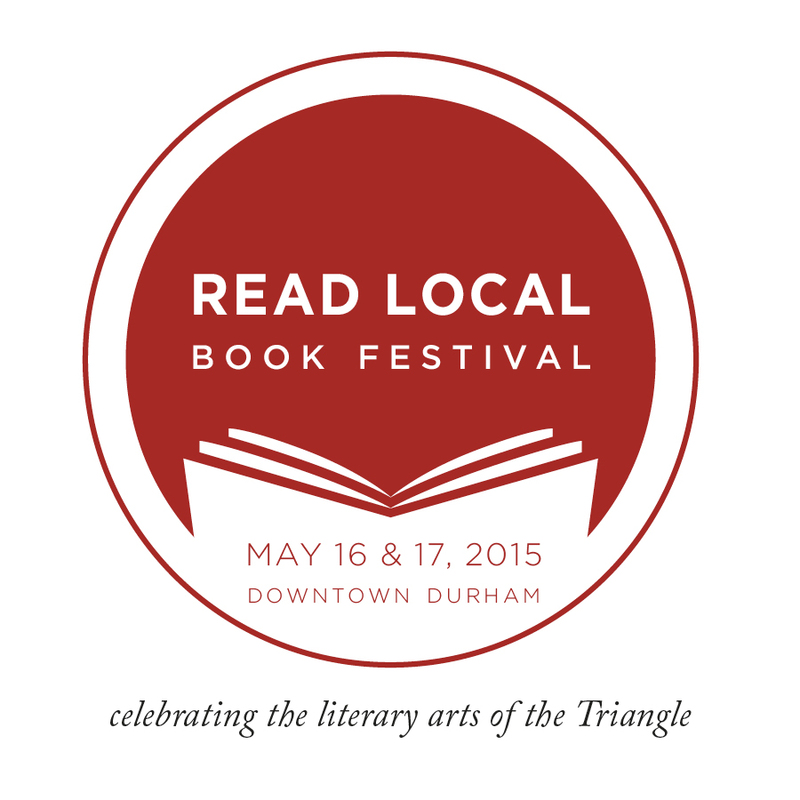 I’m not sure I’ll make it to the May 17 Prine tribute show because I’ll be on a music-writing panel at the Read Local Book Festival in Durham that same day. But I hope to be at one of Eddie’s bookstore readings, mostly likely Durham’s Regulator on March 25. He’ll also be at Scuppernong in Greensboro on April 10. Check his book blog for particulars on that. Caitlin Cary and Skillet Gilmore used to be Ryan Adams’ bandmates as two-fifths of Whiskeytown’s lineup during the band’s mid-1990s salad days. But nowadays, they’re one of Raleigh’s coolest music-and-arts power couples. They’ll be on the radio together Thursday night, holding forth on Raleigh’s online station Little Raleigh Radio to present “Married to the Music” on the LRR program “Under The Influence.” Based on what they’ve been posting about disagreements over the playlist (Fugazi, y’all? ), it’s sure to be hilarious. “Married to the Music” airs from 9 to 10 p.m. Eastern Time on Thursday, and you can listen here. And in further news from their respective musical orbits, the first Tres Chicas show in many moons happens April 24 at the Cary Theatre; while Skillet plays with Patty Hurst Shifter March 29 at Slim’s. 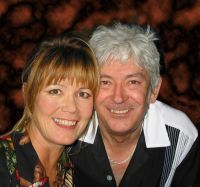 The past few days, social media has been awash in tributes to the late great Ian McLagan, the legendary Small Faces keyboardist, who died on Wednesday of complications from a stroke at age 69. Mac was a wonderful all-around chap, dynamite musician and one of the funniest raconteurs of all time (for proof, just check his hilarious and no-holds-barred 2000 memoir “All The Rage: A Riotous Romp Through Rock & Roll History”). I got to interview Mac a few times over the years, including one especially memorable 2009 chat that involved equal amounts of tears and laughter once we got to talking about all the songs he’d written about his late wife Kim. Pretty much everyone in the roots-rock world who’s played the club circuit over the past few decades has a McLagan anecdote or two, including various members of Whiskeytown. The one from Ryan Adams, which you can listen to here, dates back to when Ryan was bottoming out while making his Love Is Hell album, on which Mac played; and it’s funny, but pretty much a standard excessive-drinking tale. Ryan’s old bandmate Skillet Gilmore has a better story, from his post-Whiskeytown days in Patty Hurst Shifter — in part because he can boast of having been given a nickname by Mac. This weekend marks the official start of another holiday shopping season, with all the madness and forced merriment that implies. It’s the season when you’ll see gift guides all over the place, including my contribution to the Sunday News & Observer (music suggestions at the bottom are mine). It would be a fine idea to avoid going anywhere your local shopping mall, and I’m here to help with a gift you can procure without even leaving the house: Another “Losering” holiday special, which was enough of a hit last year that I’m offering it again this year at an even lower price. From now until January, you can order copies of “Losering” directly from me for $12, which is $4.55 less than amazon’s current physical-copy price. And in my own personal version of “Amazon Prime,” that 12 bucks includes shipping as long as it’s within the U.S. (think of it as “Losering Prime”). A signature is free, of course, if you want it. So give me a holler at dlmenconi@gmail.com, and I shall be glad to hook you up. Makes a great gift, so buy in bulk! Meanwhile, happy holidays to you and yours in whatever way, shape or form you mark ’em. God bless us, everyone.